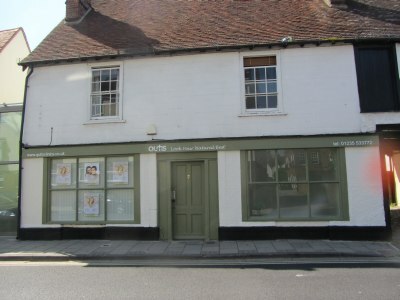 In West St Helen Street, The Qutis Clinic has opened to provide skin treatment. 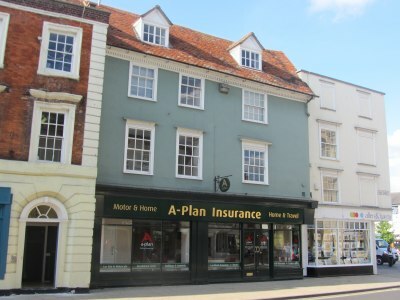 but they are just about to move into larger premises at 7-9 High Street (previously the 9TP shop and before that Modern Music). 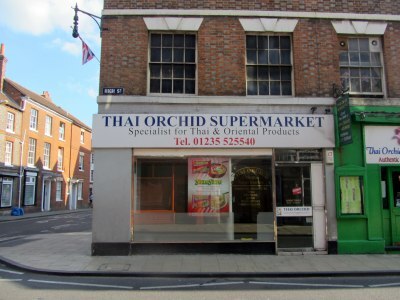 The Thai Orchid Supermarket looks to have closed. The restaurant upstairs is still going. 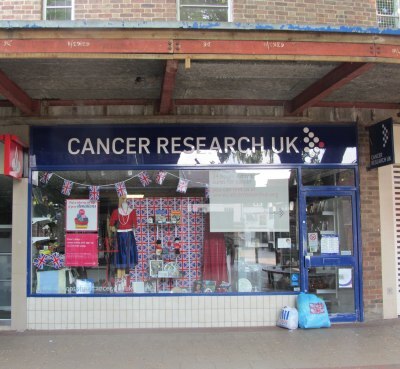 Over the road Ybuynu opened a clothing boutique where the Mobile Phone Shop used to be. Their first day was Monday. 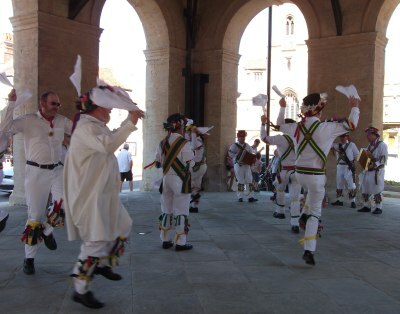 Abingdon Traditional Morris Dancers decided that now the fencing has gone from around most of the Old County Hall that it would be good to celebrate the occasion by processing and dancing on the newly relaid diagonal york paving. 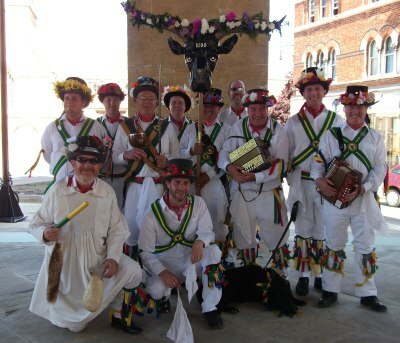 A few passers by stopped to enjoy the unexpected entertainment. 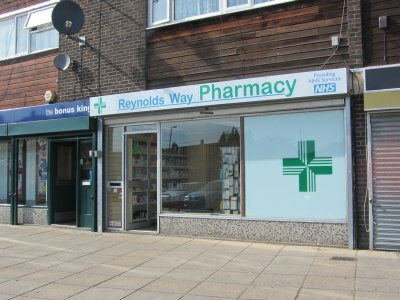 Number 7 Reynolds Way has always been a Ladies Hairdresser since 1967 and in 2012 became a Pharmacy. Other shops in the same row have not changed much either. 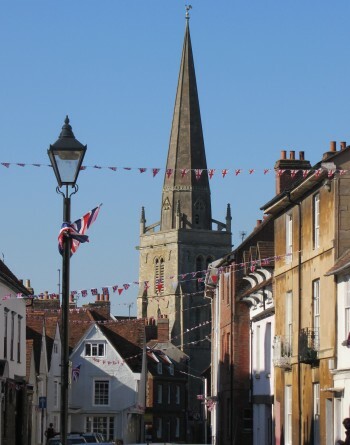 The following is not a definitive guide but is what I have made after checking some Abingdon Who’s Who and Directories since 1967 when Reynolds Way first gets a mention. There are still holes I’m sure. So please fill them in if you can. 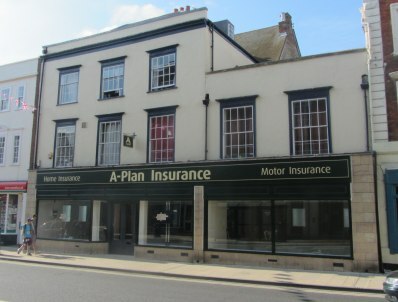 There has been no Doctor either since Dr Allinson closed her practice at the bottom of Mill Road in the early 1990s. 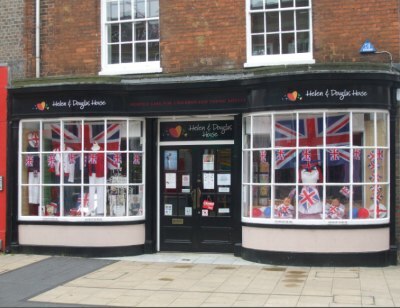 Many thanks to Cllr Jason Fiddaman for the picture of Helen & Douglas House with one of the best Jubilee window displays. I’m not sure if there will be a prize but Helen & Douglas House would be in there with a good chance. 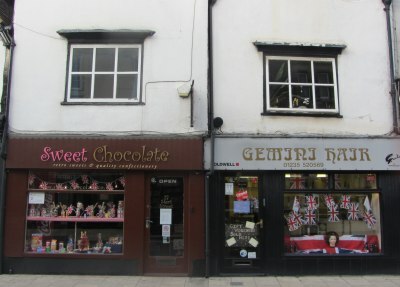 Sweet Chocolate and Gemini Hair are both flying the flag on Stert Street. 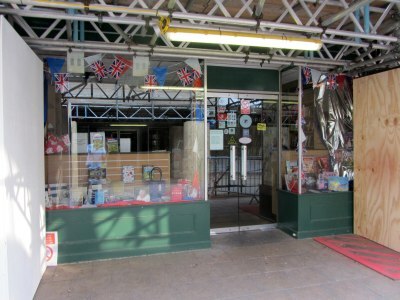 The Book Store have a good Jubilee display, with books like: Queen Elizabeth II – A Diamond Jubilee Album. The Book Store seems a little caged in so I hope they are still getting lots of visitors. 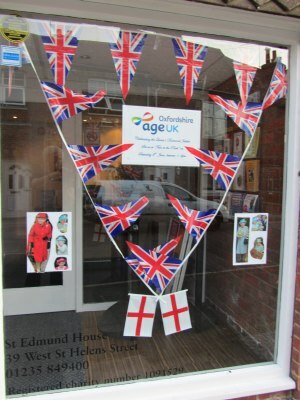 Finally for now, and I may do another round of Jubilee windows, here is age UK, formerly known as Age Concern. 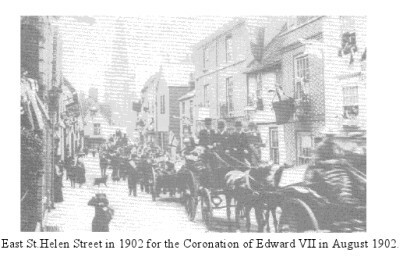 A chap called Russ sent a leaflet to all the neighbours in East St Helen Street showing a picture of East St Helen Street bedecked in flags in 1902. All the neighbours have recreated the scene without any council help. One of them told me it means more doing it yourselves.